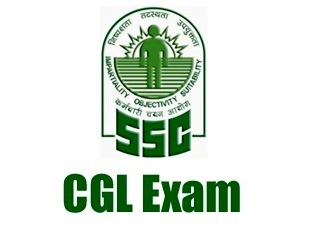 Staff selection commission has issued the new notification for the date change in apply online for SSC CGL Apply Online Link. Now the candidates who are worried about the online link not opening, can apply for SSC CGL 2017 till 19.06.2017 5 PM. I am providing you the latest update from the staff selection commission so that you cannot go anywhere else. Most of the students are worried and contacted me that they are unable to Apply online for SSC CGL Exam 2017 because servers are not responding showing error message ‘site is not responding’. But guys this is very good news for those students who miss to apply online for this examination. Now site is also starts open and you can pay your application fees, edit your application form is necessary, upload your photos and signature etc. So please apply online as soon as possible otherwise there is no surety that again site will not goes down. I am attaching the notice from commission mentioning the new last date for SSC CGL 2017. 1. It has come to the Notice of the Commission that some of the applicants have faced technical problems in filling on-line application forms for CGLE, 2017 during the last two days. Keeping in view this inconvenience caused to the applicants, the Commission has, in the interest of the applicants, decided to extend the last date of filling of on-line application forms for CGLE, 2017 till 5.00 PM on 19.6.2017. 2. As regard payments made through challans, it is informed that in those cases where challans have been generated by the applicants before 5.00 PM on 19.6.2017, they could make the payment to the designated Branches of SBI using this challan within the working hours of the Bank upto 21.6.2017.